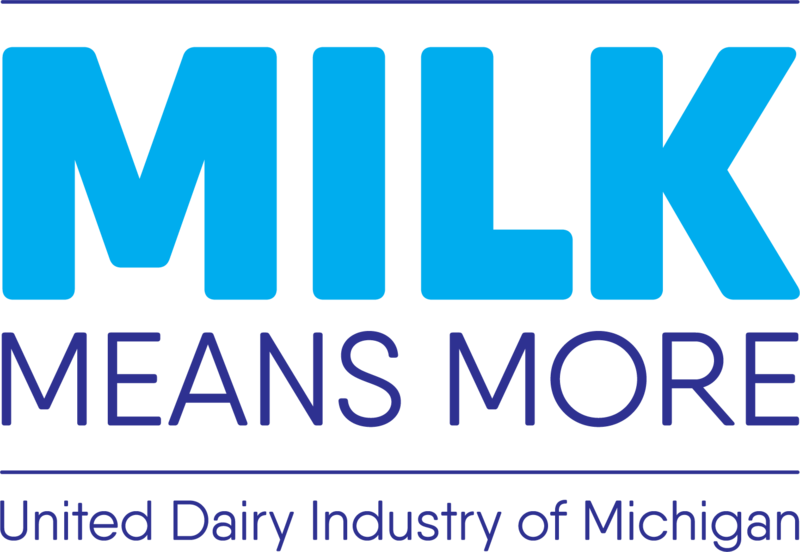 Farming since 1978, Jim and Pam Reid, along with their son Jeff, milk 220 cows on their dairy farm located just four miles from Lake Huron. The Reid family feeds their cows with the crops they grow on 1,100 acres of land. Being located so close to the third-largest freshwater lake in the world and wanting to do their part to help take care of it, the Reid family is dedicated to being environmentally responsible and forward thinking in their practices. Water is constantly being recycled on the farm. Rainwater is collected and used in the crop fertilizer, and water that is used to cool down the milk is reused as drinking water for the cows. The Reids also use innovative technology to reduce soil erosion. The cows on Reid Dairy Farm are housed in a freestall barn with soft, sand bedding. In the freestall barn, the cows have 24/7 access to fresh food and water, and they are able to lie down or socialize whenever they like. 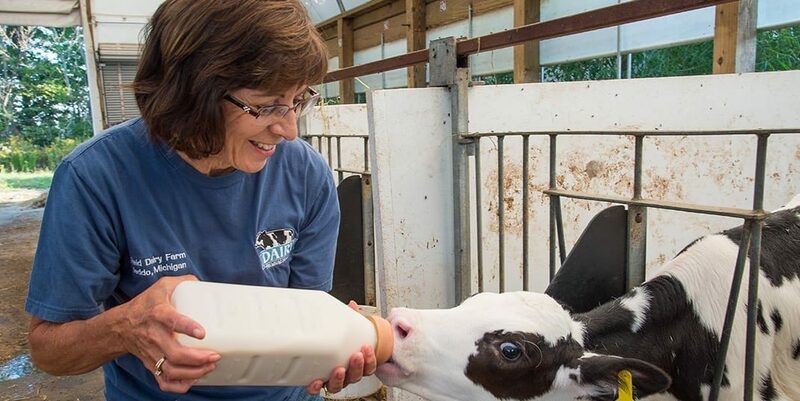 Each cow on Reid Dairy Farm makes 10 gallons of nutritious, wholesome milk every day. 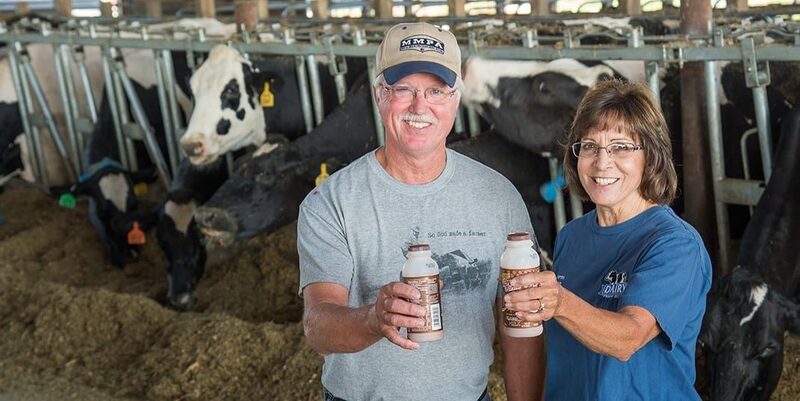 The Reids are passionate about educating people about dairy farming and agriculture and often host farm tours for school groups. 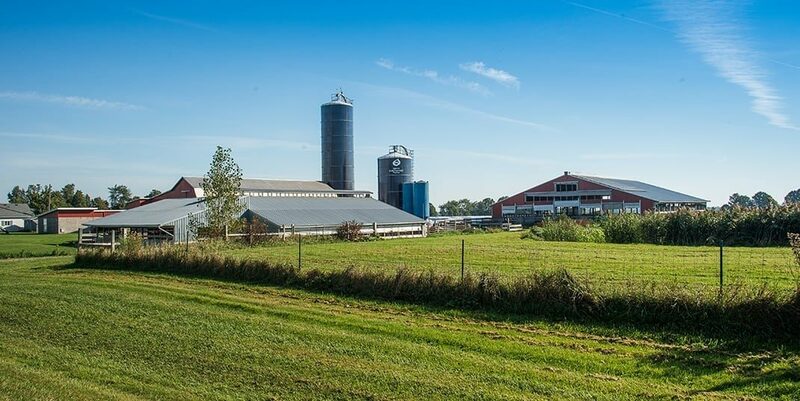 Sustainability is a top priority on Reid Dairy Farm. See the full sustainability cycle here! 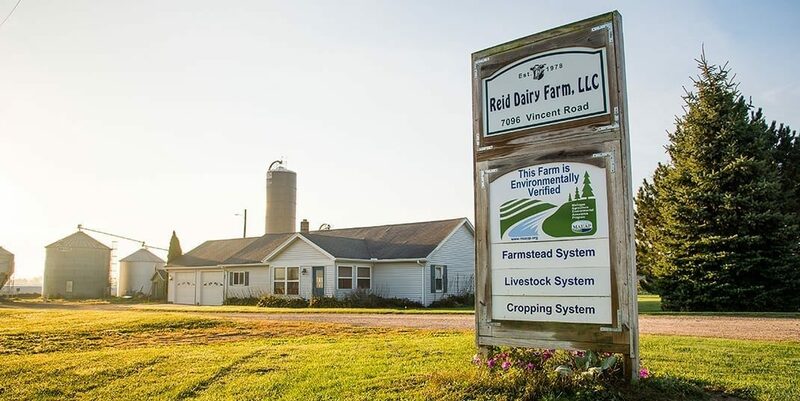 The Reid’s farm has several solar panels that help power their dairy.